Welcome to the Town of Cambridge website. 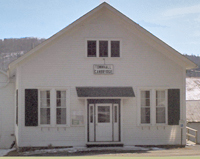 The Website Committee developed www.townofcambridgeny.org as a resource for the local community. Most importantly the website is updated by members in the community, including you. We want to hear from you, particularly if you are interested in updating information on this website. Please contact us with feedback, and we look forward to hearing from you! Cambridge is a small town with a unique character and strong sense of community. It’s a town where people care about others, where community events are a big part of community life. We’re located in south central Washington County. The area is made up of beautiful rolling hills, farms, a portion of the village of Cambridge and several small hamlets. Upcoming Town Board meeting - May 13, 2019 at 7:30 PM. The bills will be audited and meeting to follow. Notice is hereby given that assessment inventory and valuation data is available for examination and review. This data is the information which will be used to establish the assessment of each parcel which will appear on the tentative assessment roll of TOWN OF CAMBRIDGE which will be filed on or before May 01, 2019 . The information may be reviewed, by appointment, in the Assessors office at 846 County Route 59, Cambridge, NY 12816. APRIL 3, 2019, between the hours of 2PM and 7PM, and on APRIL 10, 2019 between the hours of 2PM and 7PM. An appointment to review the assessment information may be made by telephoning the Assessor at (518)677-3952. A publication - Contesting your Assessment in New York State - is available at the Assessor's Office. If you have any questions you may telephone the Assessor's Office at (518) 677-3952. Grievance Day is Wednesday MAY 29, 2019 . May 22nd between 3PM AND 7PM -The Board of Assessment Review will meet at CAMBRIDGE TOWN HALL, 846 County Route 59, Cambridge, NY 12816, between the hours of 4PM-8PM.